Along with Samuel Taylor Colerridge, William Wordsworth is one of the 19th century romantic poets associated with the English Lake District. 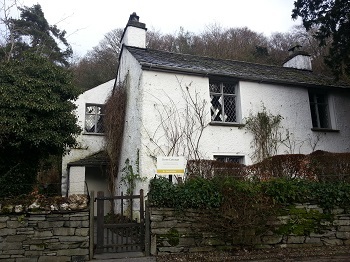 Wordsworth lived at Dove Cottage (pictured above) just outside Grasmere where there is now a museum celebrating his life and works. Please click here for more information about the English Lake District.